Instantly smooth flyaways and add vibrant shine while keeping colour radiant. 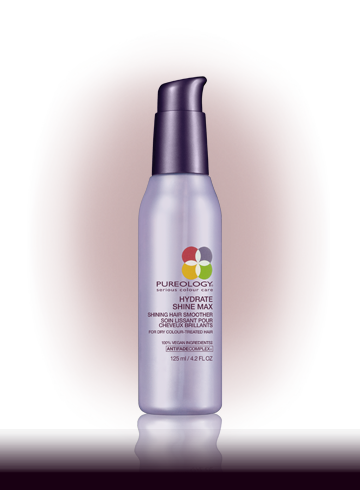 This weightless serum delivers light nourishment and creates a soft, lustrous finish. The exclusive AntiFadeComplex helps maximize colour retention. Distribute 2-3 drops through clean, damp hair. Style. For extra slip and shine after shampooing, mix 2-3 drops into your favorite Pureology conditioner. Rinse. Finish with 1-2 drops on dry hair, as necessary. Do not rinse.